Following hot on the heels of the inaugural Writers' Guild of South Africa (WGSA) Muse Awards, which culminated in a highly acclaimed awards ceremony in March this year, the 2014 WGSA Muse Awards are about to launch with a bigger, better list of categories and a televised awards ceremony in March 2015. The WGSA Muse Awards, launched by the Writers’ Guild of South Africa (WGSA), is the only award in the country which exclusively honours the South African Performance Writer and allows the local content production industry to celebrate and promote the creativity, quality and writing excellence of local writers. Unproduced Script in any genre. A panel of independent judges will be looking for excellence in writing style, story, characterisation, dialogue, and impact. 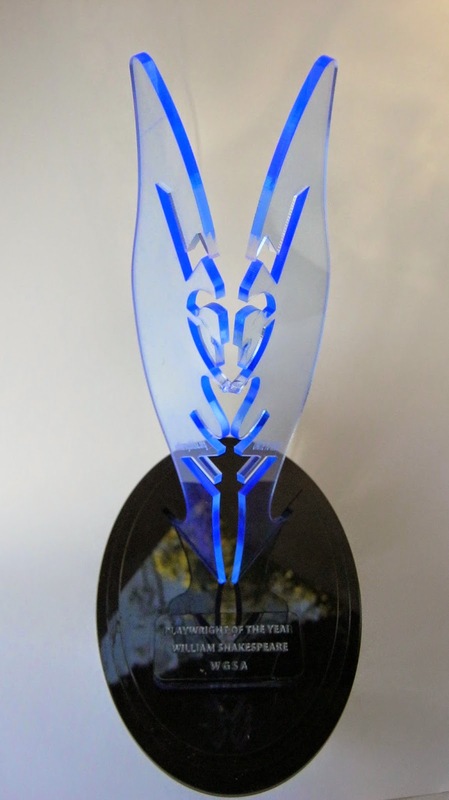 Every nominee will receive a personalised Nomination Certificate, and each winner will receive a personalised Winner’s Certificate and a beautiful specially designed WGSA Muse Trophy. The judging process will take place during December 2014 to middle February 2015, with the nominees announced at the end of February 2015. This will be followed by the award ceremony, which will take place on 9 March 2015. Entries for the 2014 WGSA Muse Awards open on 23 September 2014 and close at midnight on the 30th of November 2014.